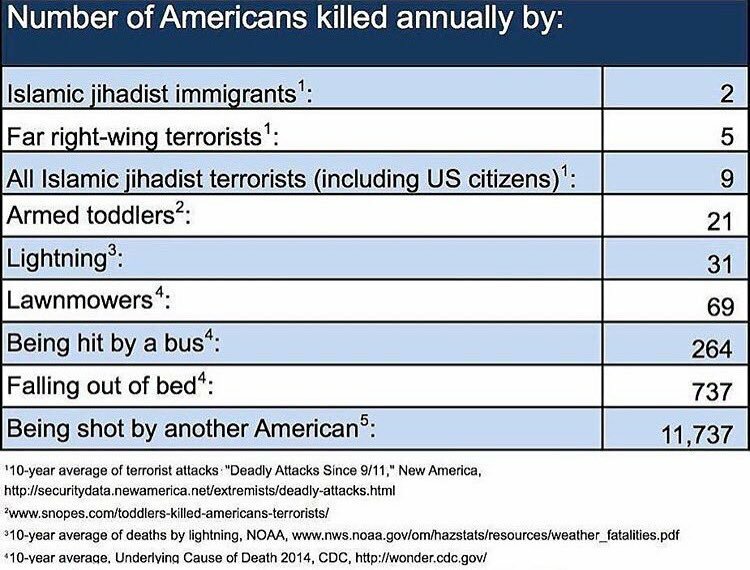 So, you are more likely to killed by an armed toddler or struck by lightning than by an Islamic immigrant. And if you want to eliminate the real threat to Americans, ban guns. This entry was posted in Art, Guns, Health, Immigration, Murder, Religion, Terrorism by brobrubel. Bookmark the permalink.